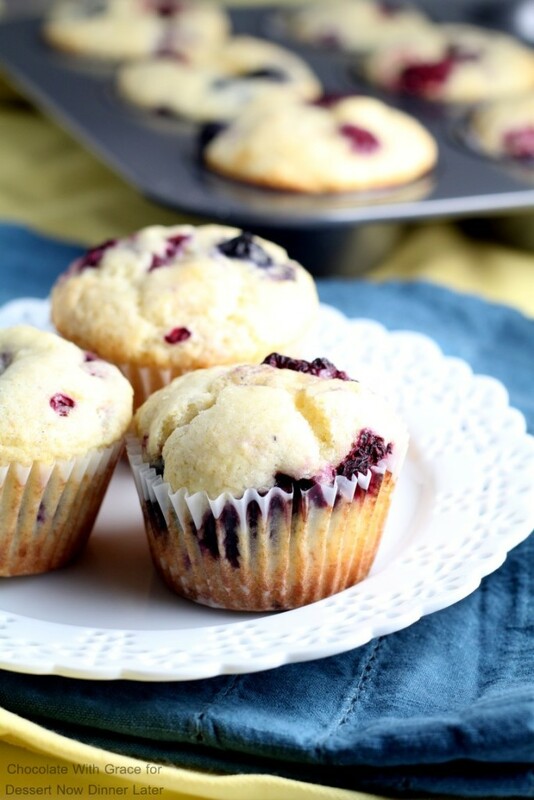 Bright Lemon Berry Muffins are a perfect for cheering up a cold January Day. I’ve totally lost all confidence in the weather men ’round these parts. Sometimes they way over-predict the snow. Like last week when they called for 8 inches and we ended up with less than a centimeter. And then on the other side of it they totally have missed two storms. Last night I was driving home from work in blowing snow and watching the car in front of me slide all over the road. The longer I followed him, the more I realized that he was doing it on purpose. Anyway, enough of me complaining about the weather, (I actually do like the snow, I just want to know when it’s coming). 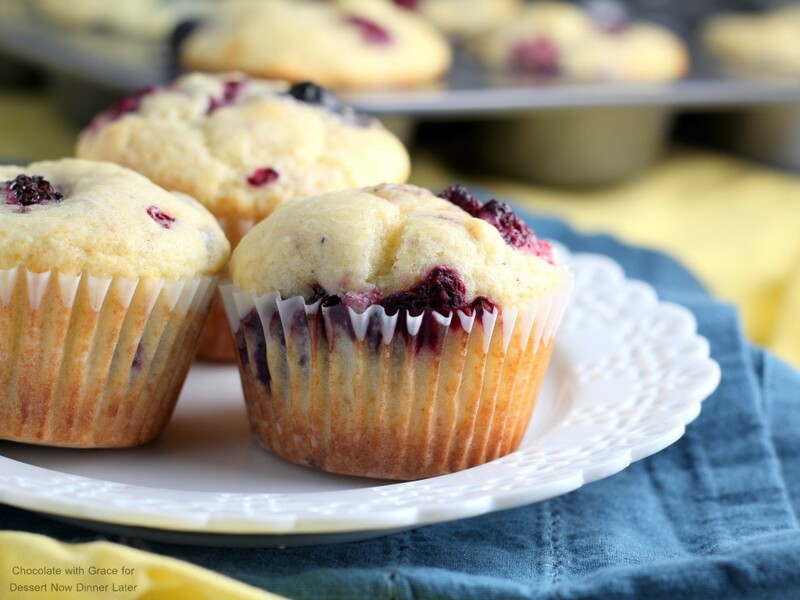 These muffins are perfect for cold-snowy days at home when you feel like doing a little baking. The lemon flavor is also wonderful foreshadowing of beautiful spring days to come. The muffins only use a handful of ingredients, you probably have already, so you won’t need a trip to the grocery store in the blowing snow. Happy Baking! 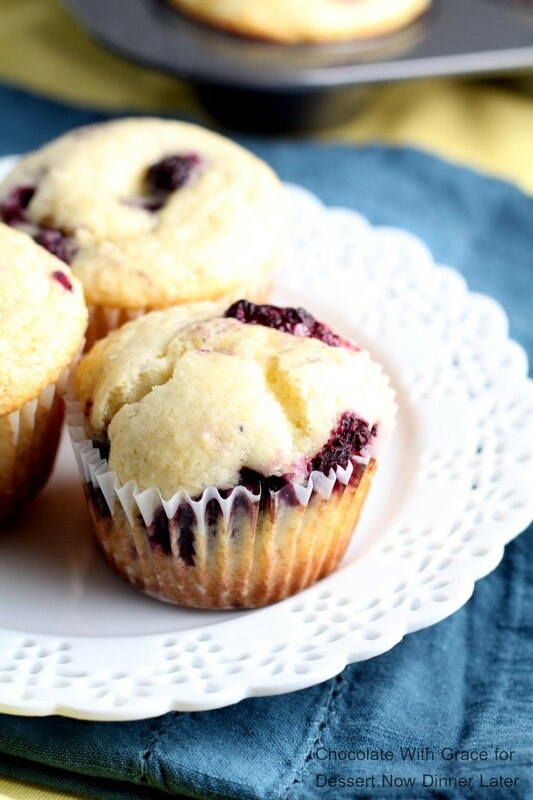 Today I’m sharing the recipe for these Lemon Berry Muffins on Dessert Now, Dinner Later! Grab the recipe here! I love these lemon and blueberry muffins! They look so delicious and are perfect for brightening up these grey and cold days!